Dramatica : Evening Vee! Welcome to the chat. Veeduber : Good evening. Glad to have finally caught you. The last 4 weeks I’ve tried & missed. Dramatica : Major bummer! Glad you found us tonight. Got some questions on the software or theory? Veeduber : Many, but not yet confident enough to state a defensible position. I did conduct an interesting experiment with Hamlet, Dramatica and four English majors. Results were four chaotic encodings. Dramatica : That’s not surprising! Once you are dealing with a finished work, interpretation is the heart of the matter. Unless you can sit down with the author and ask them what they had in mind,(difficult in this case!) you’ll just have to see how all those symbols read to you. Veeduber : In hindsight I believe I was in fact seeing reflections of their education and exposure to Shakespeare. As a systems analyst, I was hoping to gain additional insight into Dramatica’s method. Dramatica : Well, for one thing, part of what makes Dramatica work are its non-linear and relativistic relationships in the matrix of the model. So, trying to back calculate what it is doing is impossible even for us! But whenever you are dealing with analysis, a person’s background and bias will have a huge impact In Dramatica, we call that level of appreciation, Story Reception, which is the fourth stage of communication. Veeduber : You do you use the term non-linear? The matrix appears limited and fixed. Dramatica : Ah, you are only looking at the structural half of the Dramatica theory…the part you can’t see are the dynamic relationships, which change depending upon what has come before, so it is not a hierarchy, but extremely non-linear in its arrangement. Veeduber : At the moment, the structure is all I have to cling to. My published work has been in a technical field. I had hoped Dramatica would provide insights to plot and character relationships. Dramatica : Well, that is what it does. You might want to look at the structure as a 3 dimensional map. The map shows all the things you might look at as important points in an argument. The dynamic half of the Story Engine rearranges where we are going to be positioned on that map as an audience. In other words, the map is what we are looking at, the dynamics determine where we are looking from. Between the two of them, they create perspective, which “encodes” all the dramatic meaning in the story. The best way to find something useful in all this, is to ask a very specific question, which can be a jumping off point to other areas. Veeduber : I have read the three books which came with the software quite closely. Since there are just the two of use please don’t feel you need to repeat what has gone before. Dramatica : Oh, I just enjoy sharing what we have discovered. So, whatever will be helpful is just fine. Veeduber : Speaking as an analyst, and purely for information, have you considered the need for an additional level to the software? Something which might make it more useful to someone having no literary background? (In software terms it would be called an ‘enabling layer’ or perhaps an interpreter). Dramatica : What kind of level did you have in mind? You mean an intermediate interface in the software? Well, yes, but there is a problem with that. I’ll explain…The model of story can only work because it is very precise. If we were to make it 100% precise, it wouldn’t even have any words in it. In fact, to be right on the money, it would only exist as mathematical relationships. But no one could relate to that! Especially, writers who are more interested in being creative than being scientists! So, we have chosen words to apply to the matrix in the model that have the closest possible meaning, based on position in the matrix. The structural side of the model is fractally produced, for example, if you look at the Type level and compare it to the Class level, Past is to Universe as Memory is to Mind. That KIND of relationship is echoed throughout the structure at all levels and resolutions. Now, if we were to try and put another level between the writer and what is already an inaccurate representation of an accurate model, well, that would breed misunderstanding. Veeduber : Please allow me to interrupt here. Dramatica : Sure, what’s on your mind? Veeduber : In a way, you are preaching to the choir. In plotting my first detective/mystery I found myself plotting the characters in Boolean terms. :-)The question of enabling software speaks to what you are addressing, but would speak in terms of choices an uninitiated user might understand. In effect, it would have to exist as a sub-set of the program, testing the user’s responses, explaining the options and pointing out errors (in the form of conflicts between those choices). Dramatica : Yes, well, it all boils down to relationships that have meaning because they keep recurring. But, that would isolate the user even farther from direct control. Dramatica : Writers want to get right into it, and need very direct access. We considered calling Universe “Situation” for example. Instead of Universe, Physics, Mind, and Psychology, we thought how about Situation, Activities, Mindsets, and Manipulations. Veeduber : I understand. I can also see the limits you imposed on yourself. Veeduber : Indeed, yes. Which is why I have re-written much of your documentation. Dramatica : Oh, how so? This is interesting! Veeduber : Your reference to story is not clear. Dramatica : Tell me more. We are constantly revising. Are you talking about story in general or the Grand Argument Story? Veeduber : Excuse the delay, I had to dig out your manual for comparison to my notes. Ummm, getting out of sync here. You made a reference to ‘my story’ which was not clear. Dramatica : Okay, I’ll let you set the phasing and join in on the upbeat. Veeduber : I did not respond to your…. how about your story…’ because I didn’t know which you were referring to. But since it is in the hands of an agent, might we save it for later? Dramatica : I just meant the story you are working on most currently. But I also want to hear about our definition of story and your re-documentation. Veeduber : Fine; we are back on track. I made no comment with regard to your definition of story. Wit with regard to rewriting some of your documentation, it was to put it in language which I understood. (I have been in data processing since 1956). In effect, as I learned your software I was reverse-engineering it, not for any commercial purpose but simply to understand it. I had the most difficulty in the area of plot, theme and storyforming, largely because of wordiness, imprecision or apparent contradictions in the documentation. (Please don’t read this as criticism.) Having in effect translated the documentation, I then tested it and seem to have done the job correctly. Dramatica : Well, I’d sure love to hear what those are. We are always rewriting as we find better ways to communicate the information. We certainly are aware it is quite dry. A vestigial leftover from our mindset when figuring it out. As a matter of fact, we have improved in our “delivery” of the concepts considerably since we have begun teaching live classes in the theory in June of last year. I look at the current books and cringe. Dramatica : Well, you certainly come to it with a perfect background to see things that can be improved! Dramatica : But don’t keep it to yourself! E-mail to us at Dramatica@screenplay.com and we can use that input! Well, actually, the model hasn’t changed an iota in three years, but our understanding of it has. Its kind of like a Rosetta Stone of story. The information is all in the model, but understanding where to look for what and when is growing every day. Veeduber : I found nothing wrong with the workings of the existing matrix, the difficulty lay in feeding the beast. Dramatica : Yes, that is the problem, connecting traditional givens and understandings to something that truly doesn’t fit any existing molds. Dramatica : Evening, Makito! Welcome to the Dramatica chat! Dramatica : Just jump in any time with a question or comment on the theory or software. Its pretty freeform conversation. Are there any areas of special interest or difficulty to either of you? Veeduber : Good evening Makito. Please feel free; I am well satisfied so far. Makito7 : How do I get more info on the software? Dramatica : About what it does, its specs, screen shots, things like that? Dramatica : What you do is send E-mail to Mark@screenplay.com. He is one of my assistants and will make sure you get a complete package. We also have our previous chats uploaded in the Writer’s Club File library. They are in the non-fiction area. We just uploaded a Dramatica critique of Jurassic Park. Next week we’ll put one up with our critique of Natural Born Killers. For Dramatica users we have our own BBS. It is free with the software. Makito7 : I’ve reviewed some previous chats. Would like to see the NBK. Dramatica : If you have the software and it didn’t ship with it, Vee, that is because we just started sending it in the package. But we have all KINDS of information up there, and the format is much like AOL. Dramatica : Glad to hear it! Send some e-mail sometime! So, can I offer any info specifically to either of you? Veeduber : I do not wish to monopolize the screen. Makito, first please. Dramatica : Uh oh! Puts YOU on the spot, Makito! Seriously, any question large or small is good for getting into some neat stuff! Makito7 : I am interested in learning how software can juice the creative process. Makito7 : Impressions are fine. 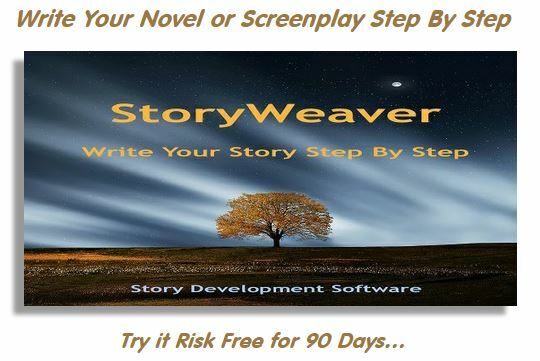 Veeduber : Mak: Do you write fiction? Dramatica : Vee, you want to share what you’ve found on that point? I’ll jump in a bit later. Veeduber : you are probably also aware of the ability to shuffle them about in search of a new angle, inspiration, etc. I believe (waiting for Dramatica to step in here) the software enhances that ability. Dramatica : Okay, I’ll plod on in here a bit…Dramatica is not where you go to write your story, but where you go to work out your story BEFORE you write, or AFTER you’ve written to look for leaks and inconsistencies. Dramatica sees four stages of communication. The first stage, “Storyforming” is where you come up with the unadorned idea or message of your story. This is what the software does best. The second stage is Storyencoding. This is where you figure out how you want to illustrate a dramatic point in your story…how many ways could you come up with to have a goal about obtaining something? Which one you choose is encoding. Then, there is story weaving. Storyweaving, the third stage, is where you figure out how to unfold the information to your audience. Veeduber : Two. First a suggestion to Makito; if you are not logging this, perhaps you should so you can examine it more closely after we are off-line. Second, I wanted to point out to Makito that many of the terms she will hear here are Dramatica-specific, their definitions contained in the software’s documentation. And 2-1/2, Dramatica matrix can provide 2-15th combinations , each unique, which helps to explain the need for Dramatica-specific terms. Dramatica : Always a good idea. Makito7 : Thanks, I’m just thinking it. Dramatica : Very good thoughts, indeed. Okay, so we have the first three stages of communication: Storyforming, Story Encoding, Story Weaving, And then we come to reception. Each of us can make pictures in clouds, see faces in wall paper, and images in ink blots. We create meaning whether any was intended or not. So, the audience is to some degree, the author of their own reception. A finished creative work will contain all four stages, blended together. That’s what makes it hard for an author to see flaws in their work. The author is the first audience of their own work. As we write, we don’t see the message as separate from the symbols we use or the way we relate it, nor how it effects us personally. So when things are going well, we can feel it, but when they are not working, we don’t know where its broken. If we know WHAT we are supposed to be writing about at any point, we can have a much more creative time of it, just figuring out how to say it. Most re-writes are not done to make the words prettier, but to solve essential problems in the dramatic form. So, by storyforming first, Dramatica forces an author to consider ALL sides of their “argument”. Also, because it is “predictive”, you don’t just fill in blanks. Dramatica : You answer multiple choice questions about the direction you want your dramatics to go, how you want them to end up, or how you want to impact your audience. When you have answered enough, Dramatica is able to “calculate” what the answers MUST be in question you haven’t answered, in order to be consistent with what you have already told it. That is how Dramatica keeps Character, Plot, Theme, and Genre working together instead of against each other. When you have answered sometimes only 12 questions,Dramatica can give you the answers to 50 other questions about the generic dramatic form of your story. Dramatica : This information is also put into “conversational” toned reports. 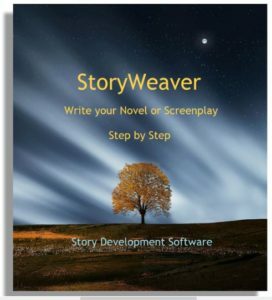 You can read about your story’s theme, your Main Characters plot line, or the Story’s goal, for example. By the time you have answered your questions and read what Dramatica said about the others, you know your story MUCH better than when you started, and that is the time to write. Veeduber : Given Makito’s question about creativity, this might be a good point to mention your spin the bottle option. Dramatica : Actually, Its “Spin the Model”. Dramatica : When you have created a storyform that has all the questions answered, you might find that not all the answers “feel” like your story. Then you can go to Spin the Model. In this area, you are able to keep the items you like, and then open up all your options as far as they can go, within the constraints of what you have kept chosen, and Dramatica will arbitrarily fill in a combination of items that works with your kept choices. You can keep locking in the new parts you want, then spin things again and again, until you arrive at a storyform that really “speaks” to you. That way you can zero in on your story’s blueprint, rather than having to have it all worked out in advance. Any other questions or topics? Veeduber : You have been most helpful. I do not wish to take up any more of your time, unless you feel a desperate need to be bored. Makito7 : Does the program provide any formatting? Dramatica : Not in its current version, Makito, it is not really where you write the finished product, although you are able to export any text you create in Dramatica to a text file that can be read by any word processor. Veeduber : That raises a neat point. What about separate subplots? That might provide a means of story-boarding a rough idea. Dramatica : Right now, Vee, we only support one plot at a time. We are, however, planning an enhancement in the future that would allow them all to be hinged together at the same time. Dramatica : For now, you need to have a separate file for each subplot. That’s a good concept, but keep in mind that each subplot is its own complete story, so to be predictive, Dramatica has to look at each one as a separate model. Later, however, we can hold several of these together in the software so we can interweave them! Dramatica : True. But, in fact, each must be a separate dramatic movement to feel complete. Now, a level above that, in a “Work “you might have several stories, all interweaving, but because there is no definite pattern that must be followed, there is no way to offer predictive help in how to combine them, that is more in the realm of weaving and reception. Reception itself is just short of chaos anyway. Dramatica : Great! Just make sure everyone sees it like you. Dramatica : Yes, we can create 20 characters, but charting their appearances is not supported as much as it needs to be. That is also in the works. Veeduber : Thank you again. And you, Makito. Dramatica : and please drop by next week, same time with more questions or comments! Dramatica : Have a great weekend!